It's here! Disney’s “The Nutcracker and the Four Realms” is now available on Blu-ray™ and Digital. The dazzling adventure features a star-studded cast, including Keira Knightley, Mackenzie Foy and Misty Copeland, along with Helen Mirren and Morgan Freeman. Inspired by E.T.A. Hoffmann’s classic tale and the beloved ballet “The Nutcracker”, follows the adventures of 14-year-old Clara (Mackenzie Foy) as she travels along a golden thread to a magical, mysterious world where she encounters sweets, snowflakes, soldiers, scurrying mice and more. 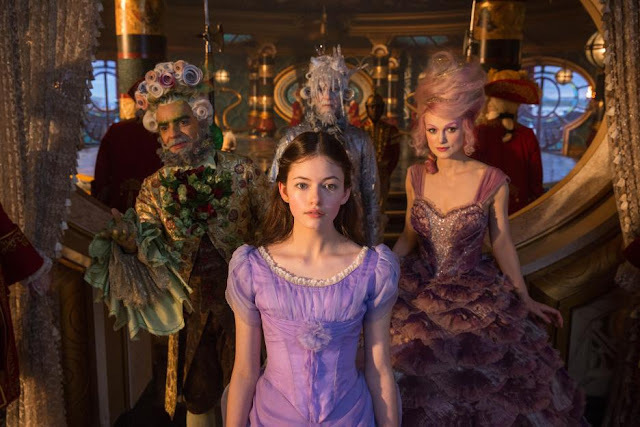 One of my favourite scenes in “The Nutcracker and the Four Realms” takes place at the very onset of the film where we are taken inside the attic of Clara's home and are instantly captivated by a complex Rube Goldberg-esque mousetrap as Clara narrates laws of physics. The fact that the female lead portrays a female in STEM garners the film two thumbs up! The story continues at Drosselmeyer’s (Morgan Freeman) annual party, where Clara finds a one-of-a-kind key that will unlock a music box that holds a priceless gift. She soons enters a mysterious parallel world and encounters a Nutcracker soldier named Phillip (Jayden Fowora-Knight), along with a gang of mice and three Realm regents, including the Sugar Plum Fairy (Keira Knightley). Clara's journey continues as she ventures into the ominous Fourth Realm, home to the tyrant Mother Ginger (Helen Mirren), to retrieve the key and return harmony to the unstable world. Andrea Bocelli and his son Matteo Bocelli performing their first duet together in this uplifting song. 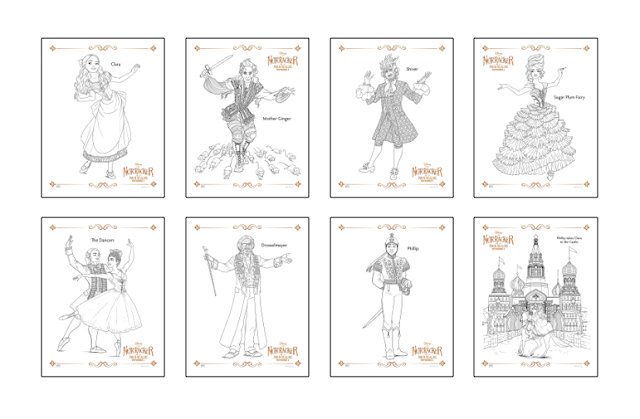 Download The Nutcracker and the Four Realms Colouring Pages! For fans of the film, I have shared a set of colouring pages courtesy of Walt Disney Studios. Simply click on the image below to download a PDF copy. 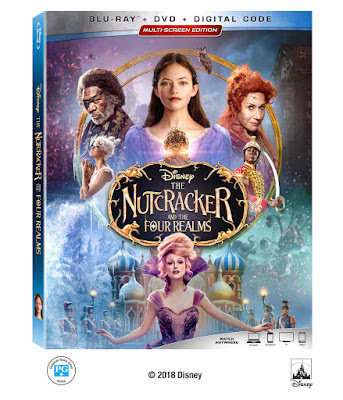 Win a Blu-ray and Digital copy of Disney's The Nutcracker and the Four Realms! To be eligible to win, please complete the Rafflecopter form below. This contest is open to residents of Canada only, excluding Quebec. Disclosure: This post is in partnership with Walt Disney Studios Motion Pictures Canada. Film still courtesy of Walt Disney Studios.